After traditional Fall color images, I will be presenting colors of hot air balloons over the next few days. 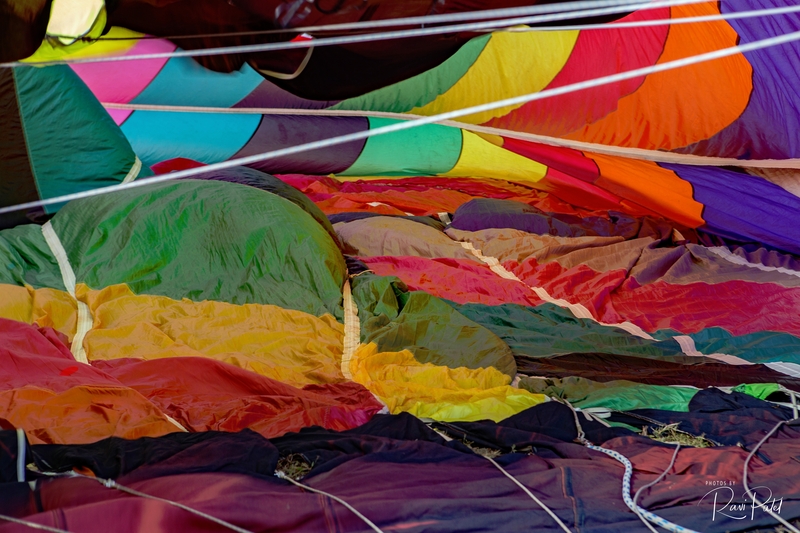 Carolina BalloonFest began over 40 years ago as ‘The National Balloon Rally” and is well-renowned as the second oldest hot air balloon festival in the United States. Located in the Southeast, the Carolina blue skies offer a magnificent backdrop to over 50 majestic hot air balloons each 3rd weekend of October in Statesville, North Carolina. Shown here a tangle, these balloons will eventually ascend in the sky providing a colorful spectacle. This entry was posted in North Carolina, Photography and tagged colorful, hot air balloon, North Carolina, Statesville. Bookmark the permalink.